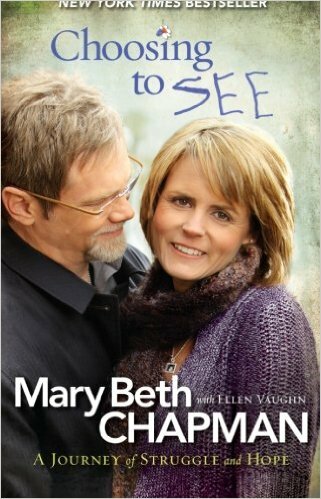 Covering her courtship and marriage to Steven Curtis Chapman, struggles for emotional balance, and living with grief, Mary Beth’s story is our story–wondering where God is when the worst happens. In Choosing to SEE, she shows how she wrestles with God even as she has allowed him to write her story–both during times of happiness and those of tragedy. Readers will hear firsthand about the loss of her daughter, the struggle to heal, and the unexpected path God has placed her on. Even as difficult as life can be, Mary Beth Chapman Chooses to SEE. If you are familiar with Steven Curtis Chapman and his music, I think you will enjoy this book by his wife. It shares the story of dating, marriage, family, and following Christ. Mary Beth shares the good and the bad and how they have overcome some very difficult times in their lives.